PositiveID Corp (OTCMKTS:PSID) may have hit bottom as it attempts to close government contracts and partnerships for full scale development. The stock has seen a steep decline from a high of $0.05 to a 52-week low of $0.011 reach a few days back. Shareholders have suffered from several stock promotions during 2015 which have not led to long-term shareholder value. Investors are hoping for a bottom soon. They recently hit a major development milestone for Firefly DX. Lab results of shown that Firefly design is capable of full biological testing from sample prep to PCR and detection which is a significant advancement. PositiveID Corp (OTCMKTS:PSID) develops molecular diagnostic systems for bio-threat detection and medical testing. They develop microfluidic systems for the automated preparation of and performance of biological assays in order to detect biological threats at locations and analyze samples in a medical environment. The Company is also involved in the development and production of automated instruments for detecting and processing biological samples. PSID flagship is the Firefly Dx; a handheld system designed to deliver molecular diagnostic results using real-time PCR (polymerase chain reaction) chemistry. The Company is developing the Firefly Dx based on intellectual property and know-how gained during years of development and $30 million of contract funding from the U.S. Department of Homeland Security for the Company’s M-BAND system, which uses PCR for the identification of airborne bio-threats. PositiveID Corp has miniaturized its proven real-time PCR technology for the handheld Firefly Dx system, which is designed for use by first response teams to detect biological agents associated with weapons of mass destruction; agricultural screening in domestic sectors and developing countries; and point-of-need monitoring of pathogenic outbreaks. On March 15 PSID announced it has achieved another development milestone for its Firefly Dx breadboard prototype pathogen detection system (“prototype system”). The Company has now demonstrated that the entire Firefly Dx prototype design functions as intended through the complete sample purification and detection process without the use of any third-party hardware, which is a critical component for future development and commercialization activities. PSID said they successfully processed multiple samples on the Firefly Dx sample preparation breadboard and the purified sample DNA was put through the polymerase chain reaction (“PCR”) process and real-time detection on the Firefly Dx PCR breadboard. The testing was completed without the use of any commercial instruments. The next step in the development of Firefly Dx is to combine these processes and breadboards into single units and demonstrate the capability to run a test from putting the raw sample in the cartridge through sample preparation, PCR and real-time detection as a single system. 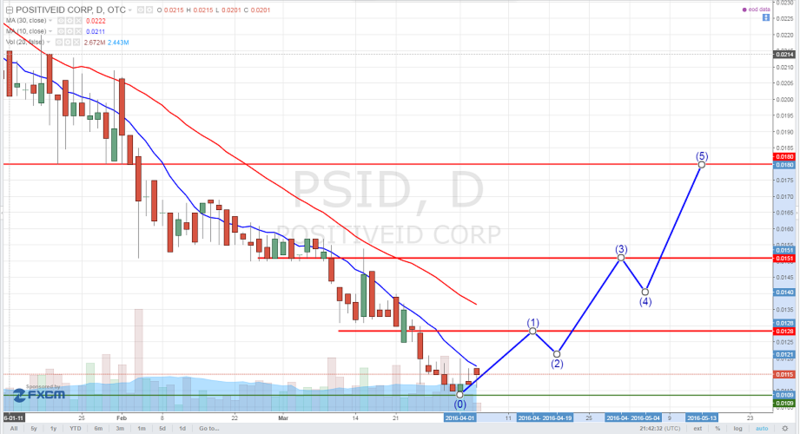 PSID is currently trading at a $5 million market valuation. The company may be on the brink of a turnaround as it continues to hits major milestones with its lead projects. A government contract or partnership could send the depressed shares much higher than current levels. We will be updating on PSID when more details emerge so make sure you are subscribed to Microcapspot so you know what’s going on with PSID. Disclosure: we hold no position in PSID either long or short at the publication of this article.